How Does Aloe Vera Help with Acid Reflux? Acid reflux has a common symptom of pain of the abdominal area, usually the upper part or the chest area. Overeating, spicy or fatty foods, smoking, stress, obesity, excessive consumption of caffeine as well as certain medical conditions can trigger acid reflux. Aloe vera for acid reflux can be used as a liquid. If after using aloe vera for two weeks for acid reflux, the situation does not get better, you should visit a healthcare professional. It is a natural remedy known for heart burn relieving effect as well as preventing acid reflux. Its benefits consist in soothing of the esophagus, relieving this way the irritation. Aloe vera is rich in polysaccharides which aids proper digestion, stimulates skin growth and help repair the cells of the human body. Glycoproteins that aloe vera contains are helpful when it comes to enhancement of the healing process of esophagus inflammation. Aloe vera will help with acid reflux as it improves the blood circulation which normally will have an effect on proper functioning of the gastrointestinal tract and food digestion. Aloe vera has beneficial health effects not only for the esophagus but for the entire gastrointestinal system. Aloe vera is known to minimize the bad bacteria of the gut, soothe the mucous membrane and revitalize the LES. Regular daily consumption before every meal is very healthy and beneficial when it comes to dealing with acid reflux. Aloe vera juice should be consumed at least 20 minutes before having a meal, a couple of times every day. 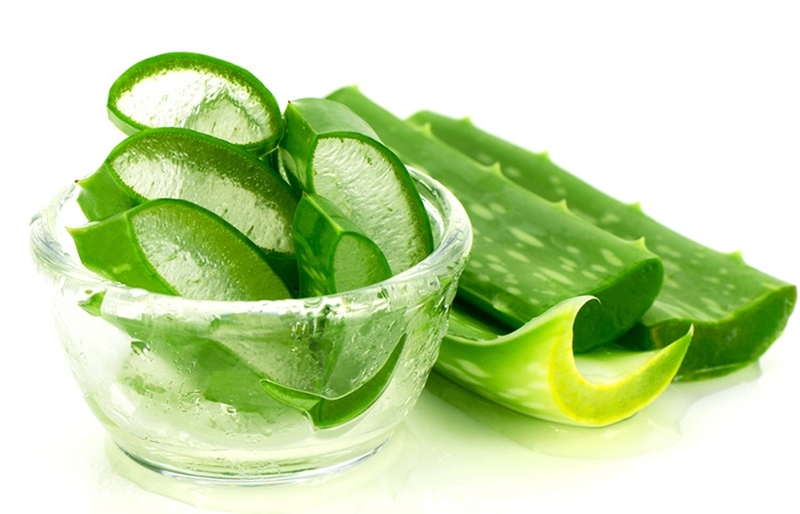 The right dosage of aloe vera for acid reflux varies from one manufacturer to the other. Keep in mind that aloe vera gel can have a little bit strong taste, so if you take aloe vera as a gel, try to mix it with water. There are also capsules of aloe vera available on the market today. However, its benefits when it comes to acid reflux have not been studied specifically. Be careful when it comes to the right dosage of aloe vera. Make sure to take the recommended dose. Higher doses can lead to toxicity. Aloe vera, in general is a safe natural remedy when taken as a juice or as a gel. However, there are some possible side effects due to its consumption. Possible side effects include rash, skin irritation, low sugar levels in blood, stomach cramps and stomach pain, diarrhea, etc. Pregnant women and women who are breastfeeding should consult e healthcare provider before using aloe vera for acid reflux. Aloe vera alone can’t do miracles. However, if aloe vera consumption for acid reflux is combined with a change of the lifestyle, there will make a significant change on the acid reflux. If you are a smoker, you should quit smoking as it has a great impact on your overall health, including the health of your gastrointestinal system. In order to avoid the signs and symptoms associated with acid reflux, try eating frequent meals and smaller portions. Also, make sure not to eat anything a couple of hours before going to bed, which will give enough time your gut to digest it. Wearing tight clothes which constrict your abdominal part of the body is also not recommended, as it will just make the signs and symptoms of acid reflux get worse. Aloe vera as a juice or as a gel is safe for the relief of acid reflux. However, you should keep in mind that the gel has a little bit bitter taste compared to the juice, so you probably will want to dilute it with water or tea before consumption. A good thing to know is that the gel is gotten from the inner portion of a leaf, while the juice is from the outer part. When buying aloe vera, keep in mind to choose only the herbicide and pesticide free aloe vera. Also, make sure to buy only products containing 99% aloe. Aloe vera is not under regulation of the FDA (Food and Drug Administration) due to the fact that they are natural products and supplements. For this reason, when buying aloe vera for acid reflux, make sure to look and choose those who have an approval from independent testing organizations. When choosing aloe vera for acid reflux, make sure to choose the one which has undergone flash pasteurization regardless if you are aiming for the juice or gel. Flash pasteurization ensures that the aloe vera will have all the medical benefits for which you are consuming it, as heat will make it lose some of its medical benefits.